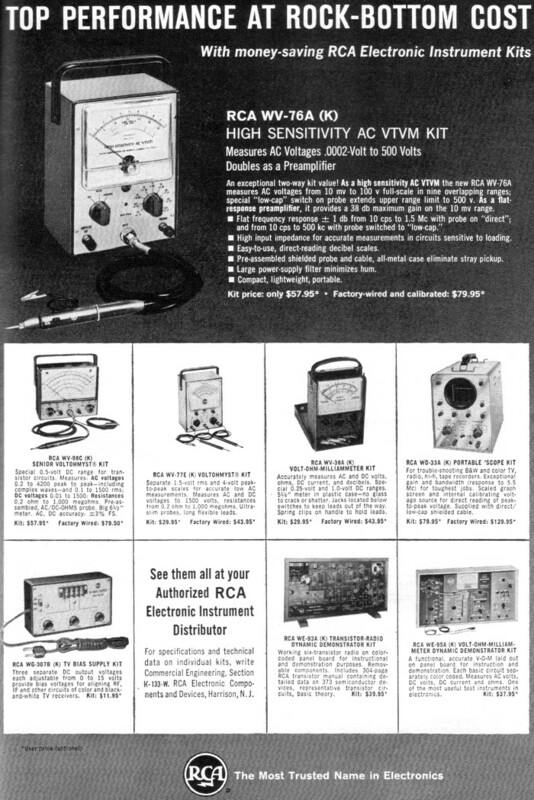 I have to admit to not remembering (or ever knowing) that Radio Corporation of America (RCA) manufactured electrical test equipment, so seeing this full-page advertisement in a 1963 edition of Popular Electronics was a surprise. 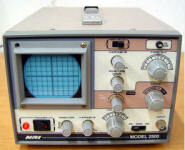 RCA made a few types of analog multimeter kits, some project and experimenter kits, and even an oscilloscope kit. 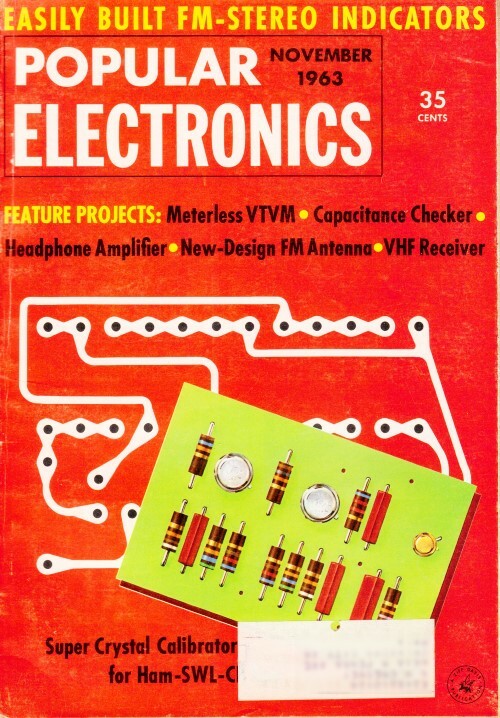 A little more thumbing through other Popular Electronics editions revealed the RCA Institutes, which was a mail order electronics training program similar to the ITT Institute and National Radio Institute (NRI, from whom I took a course many moons ago). Knowing that if you wait long enough, just about everything shows up on eBay, I did a quick check and found a few vintage RCA Institutes items, including an RCA Institutes Ham Radio Signal Generator Kit. On a whim, I looked on eBay for the 10 MHz oscilloscope kit that came with my NRI course, and there one was, but it had already been built (on left). I remember that the time base was calibrated by clipping a ceramic capacitor to the probe and sticking it in the wall receptacle and adjusting for 16.67 ms. Amplitude calibration was done by measuring a battery voltage with a voltmeter and adjusting accordingly. Close was good enough at the time.